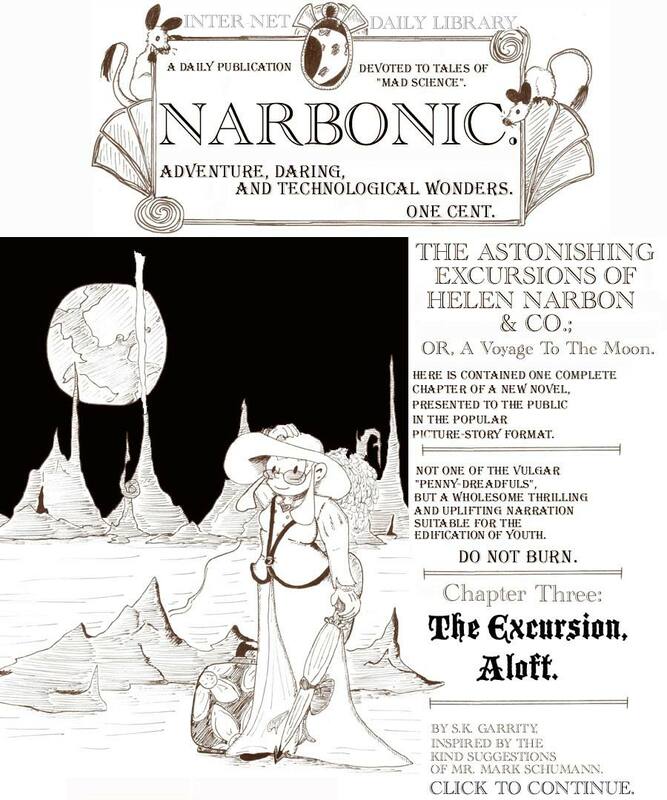 The Astonishing Excursions of Helen Narbon & Co, Chapter Three. And look! 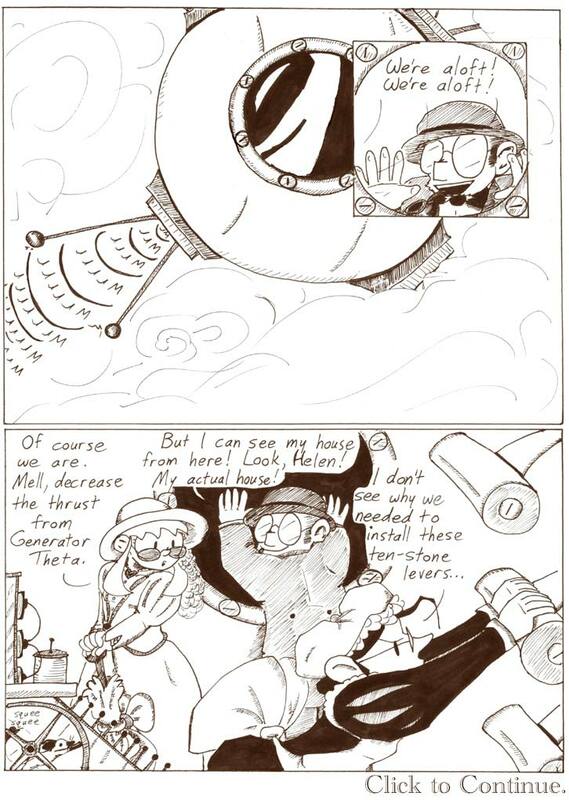 With Andrew drawing the daily strips for me, I have time to do a Victorian Sunday! I should always be so lucky. 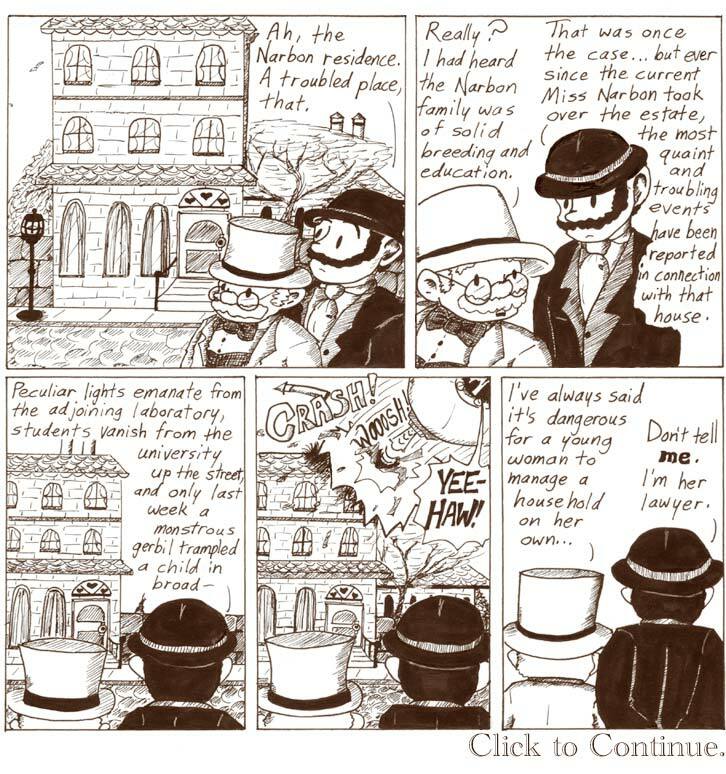 This page is based on the opening chapter of Dr. Jeckyll and Mr. Hyde. That’s how it starts–with Dr. Jekyll’s lawyer talking to another stuffy Victorian fellow about the odd goings-on at the Jekyll residence. Enjoy my hilariously bad backgrounds! I chose the spherical “bathyscape” design for Helen’s spacecraft because it was easy to draw. Even easier once I went out and got some circle templates. The gerbil in the lower left corner is just a regular gerbil, not Artie. 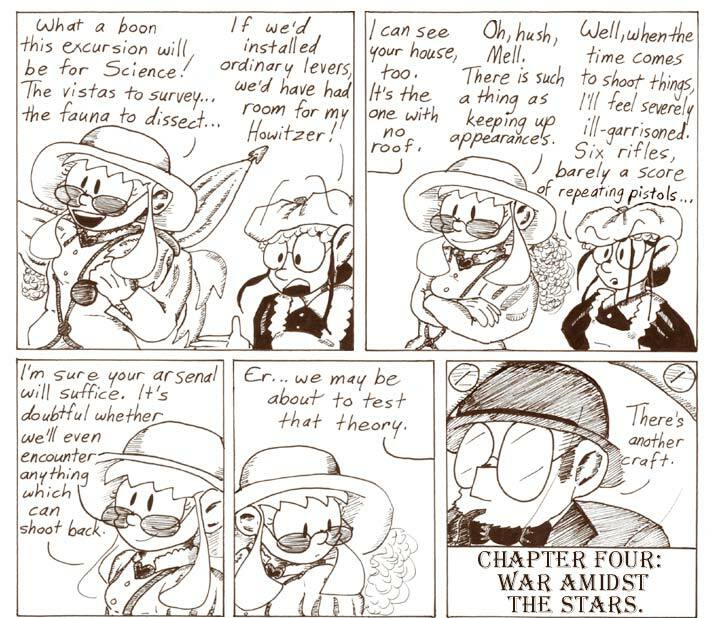 Artie doesn’t have a counterpart in the Victorian timeline. Or if he does, he lives a long, long way away from Helen and company. This page is shorter than the others. I suppose, if I ever did a print version of the Victorian story, I could fill the blank space with advertisements for hair oil and fattening pills. They used to sell tapeworms as a weight loss supplement. I always thought those were good old fashion ads. Or Radium water would be good too. My first reaction to that usage of the word “quaint” was to be annoyed, but then I realised I’m certain I’ve seen it used that way before. I suppose it could have been in Jekyll and Hyde itself, I did read the first chapter or two. The print version of this is fantastic, as an aside.